Today’s stage finishes in the small town of Fiuggi, which should be good news for any riders still hobbling along from injuries sustained in first week crashes — the water from the natural springs is famous for its apparent healing powers. Everyone from Michelangelo to former popes and monarchs have vouched for it. 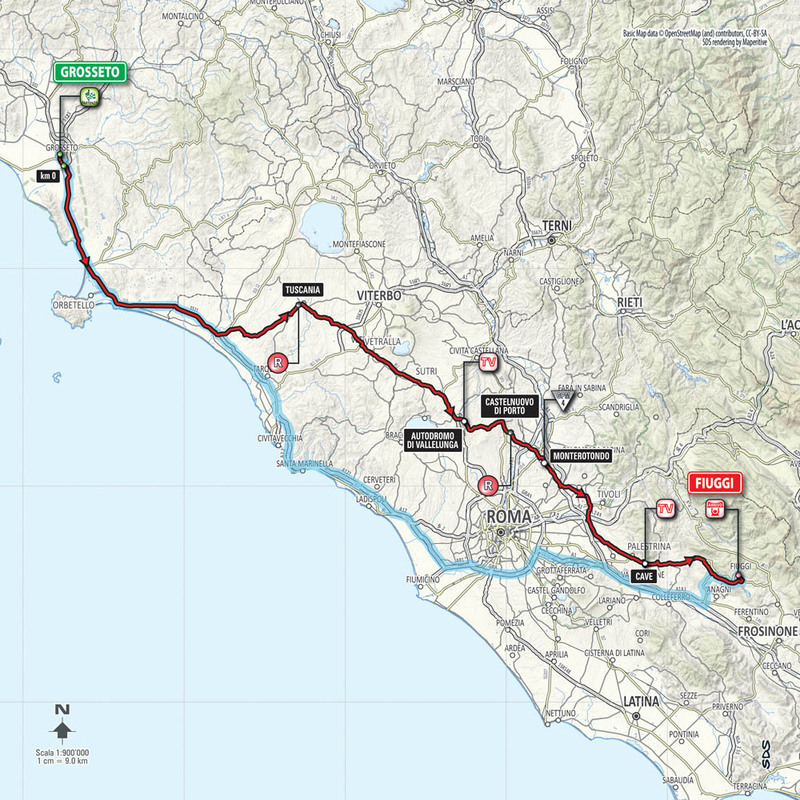 Apparently working under the impression that two flat stages in the first week of a Grand Tour is more than enough, the organisers have ruined what would have been a perfectly good sprinters’ stage by plonking a big hill at the end of it. It covers undulating yet manageable roads before the sting in the tail, which is likely to diminish any pure sprinters’ chances. Neither is the finishing climb difficult enough to favour the outright climbers, making it ideal for puncheurs and sprinters who can handle slight gradients. 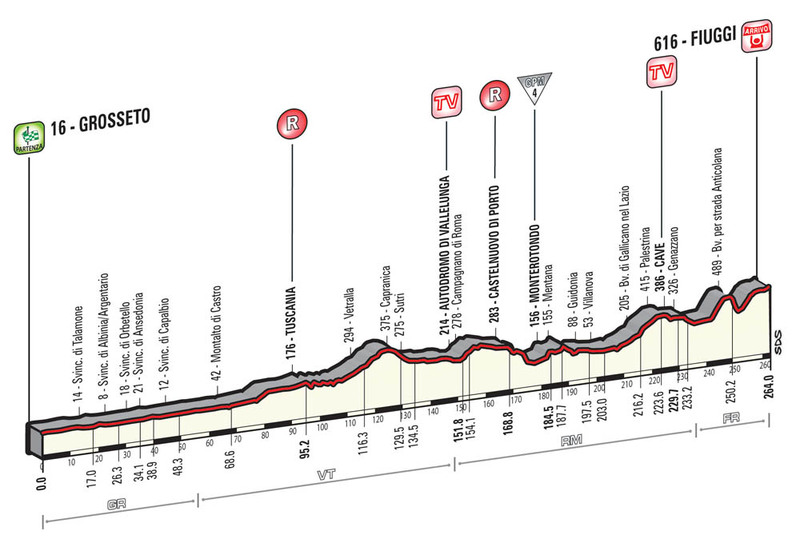 At an enormous 263km, it’s also the longest stage of the Giro — and, for that matter, the longest in any Giro since 2000. Whichever teams fancy their chances of setting up an uphill sprint win, will therefore have to be mindful of any breakaways that are sure to go ahead up the road.